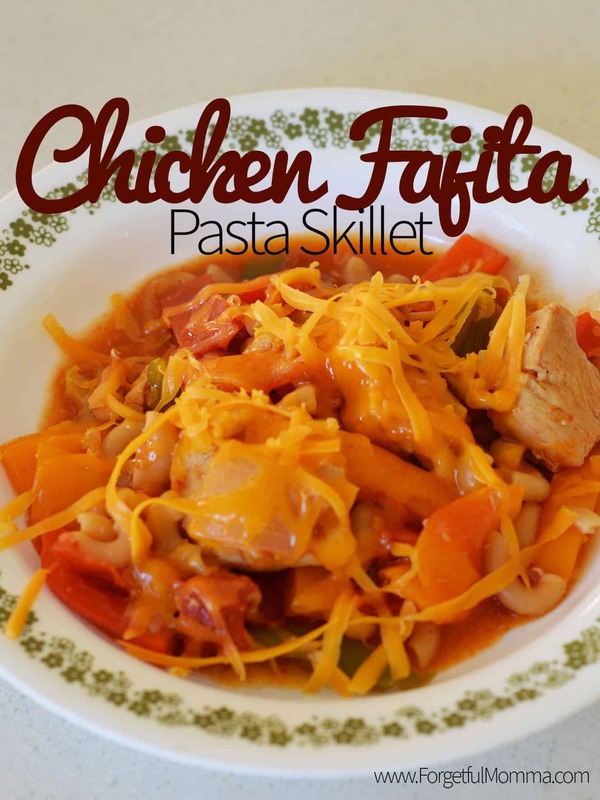 As moms of any kind – stay/work-at-home, working outside the home, homeschooling, etc, quick meals that are easy to clean are the best, this chicken fajita pasta skillet is the best. Not only is it quick and easy to clean up, but you’re getting all the food groups in there too. 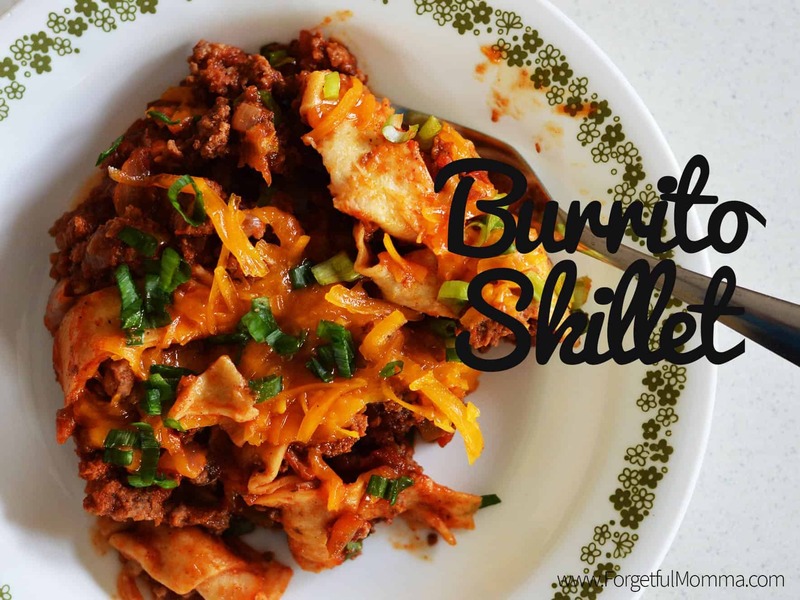 I’m a big fan of skillet meals now because they tend to be quick and they have easy clean up. 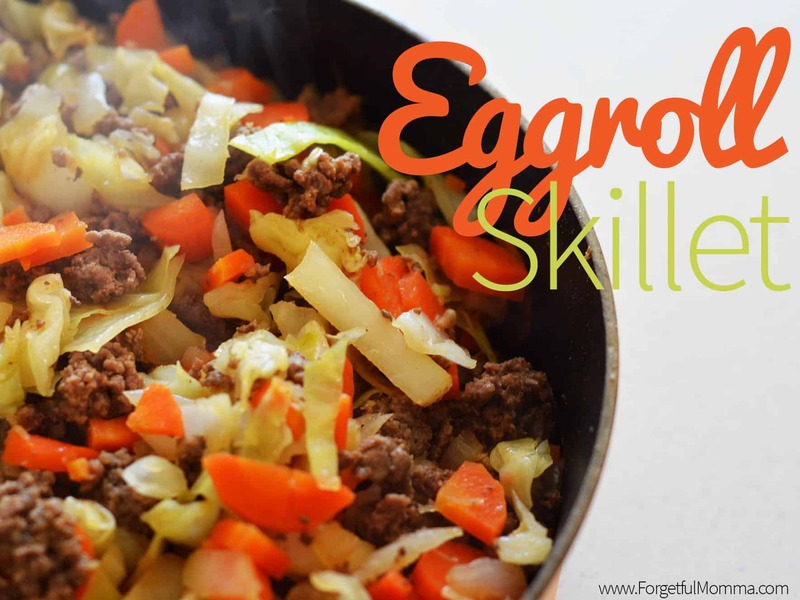 A huge hit with my kids is our eggroll skillet, add a little plum sauce and enjoy. And for whatever reason, pasta seems to be a huge hit with all kids! Everyone loves carbs though right? Grab some beautiful peppers and enjoy this healthy chicken fajita pasta in 30 minutes. 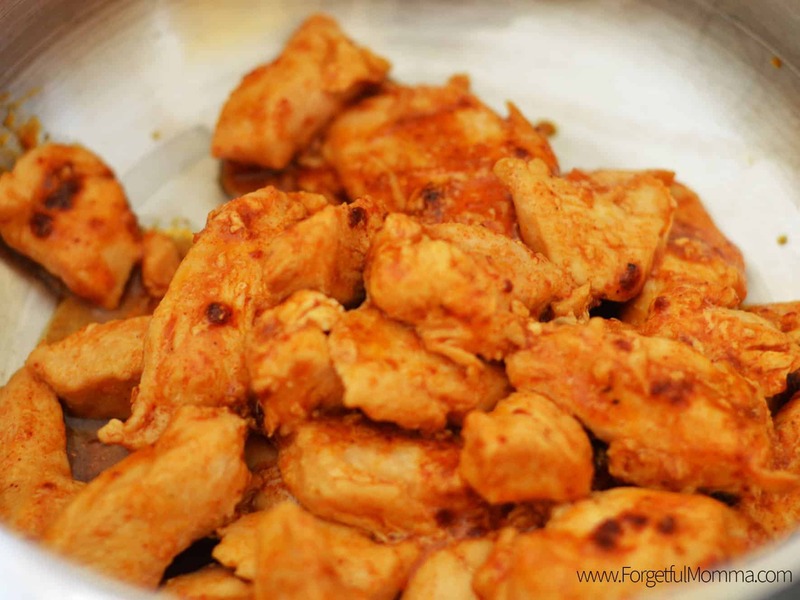 You’re going to start by cooking your chicken breasts – sliced or diced into bite sized pieces, with half of the fajita seasoning in a little EVOO in a deep sided skillet. 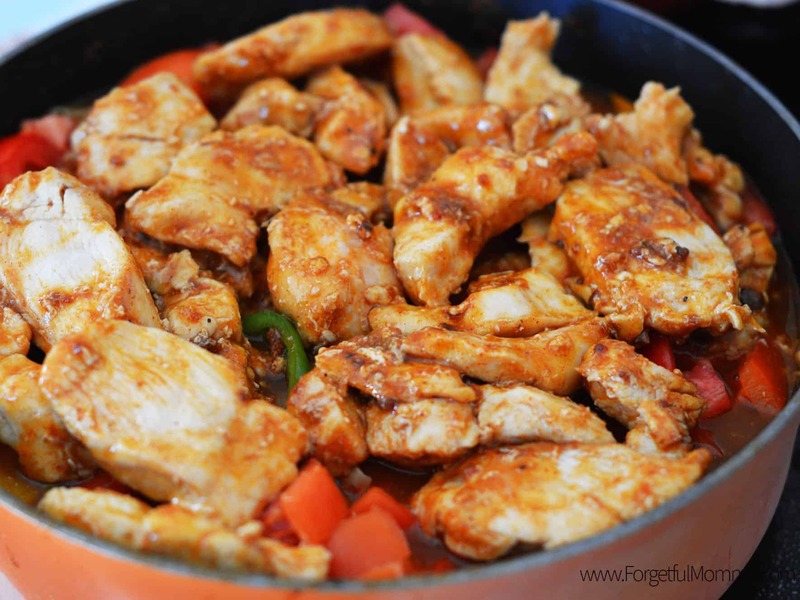 Once your chicken is just cooked, remove from your skillet, it will get cooked more soon so try not to over cook it. Add a little oil and your sliced peppers, garlic, onions and remaining fajita seasoning and cook until tender, about 2 minutes. Once your pasta is cooked, add your chicken back into the skillet and let it heat through. While it’s still hot, serve this chicken fajita pasta with a little shredded cheese of your choice on top, we used cheddar as that’s what we had on hand. In a large heavy pan heat 2 tbsp oil over high heat until oil is hot. Add chicken and half the seasoning, tossing to coat well. Spread chicken in a single layer and let cook undisturbed for about 1 min, or until browned on bottom side. Flip chicken over and repeat until both sides are browned. Remove chicken to a large bowl and set aside. Add remaining 2 tbsp oil to the pan over high heat. 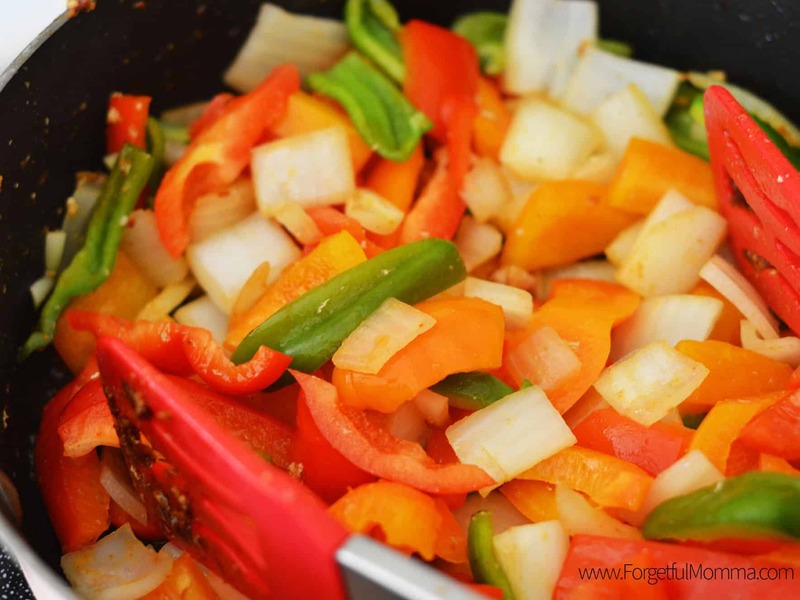 Once oil is hot, add the onions, bell peppers, and garlic, along with remaining half of seasoning. Stir well to coat; stir often and cook until veggies are tender, 2 min. 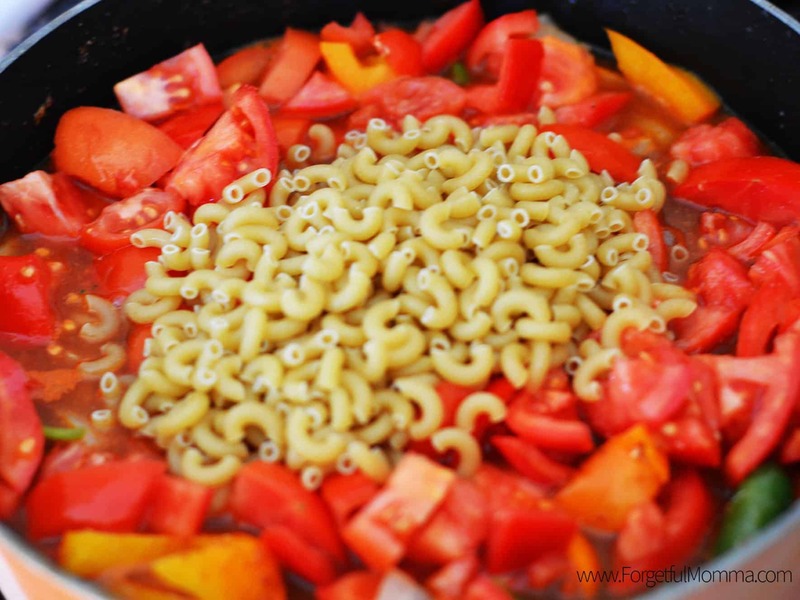 Add broth, tomatoes with all its juices, and dry pasta to the same pan. Bring liquid to a boil and immediately reduce to a low boil. Cover and let cook for 15 min. until pasta is cooked. Liquid should be mostly absorbed. When pasta is cooked, add the chicken back to the same pan. 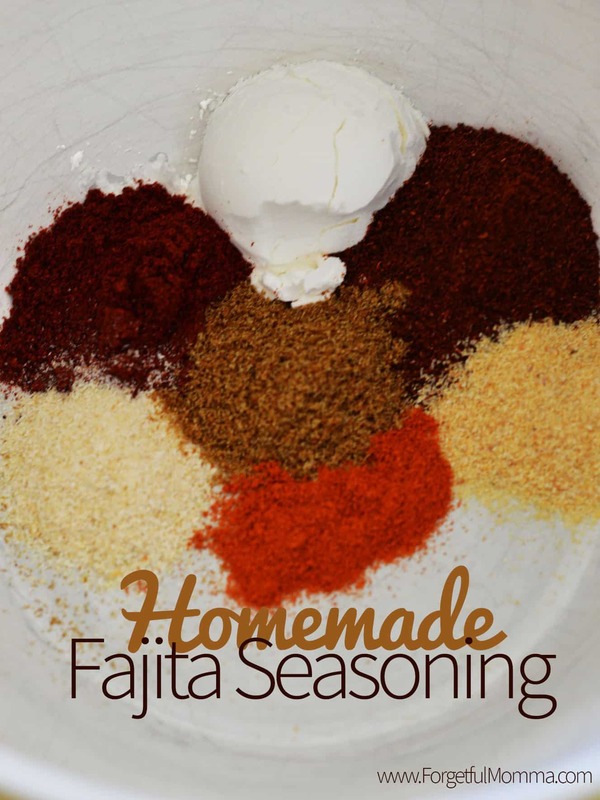 Add freshly ground black pepper to taste. Stir to combine and heat through. 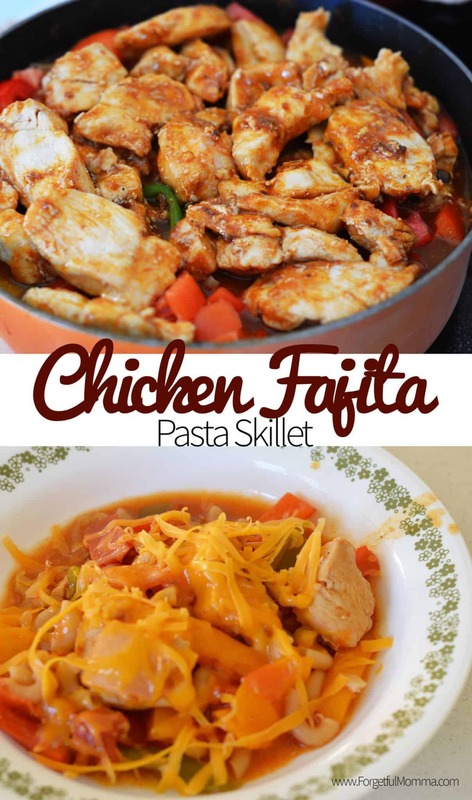 Your Chicken Fajita Pasta Skillet looks fantastic! Hope you are having a great day and thanks so much for sharing with us at Full Plate Thursday and come back to see us real soon!